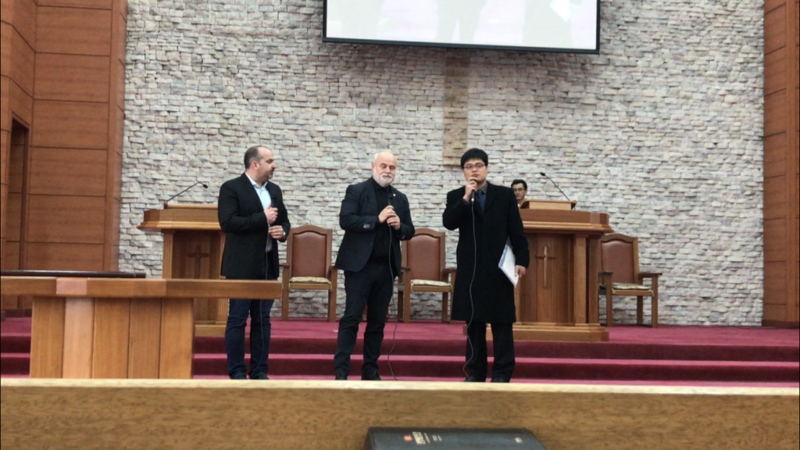 North Korean leaders have asked the Baptist Charity Service in Hungary to build a Baptist house of prayer in their country, said Baptist Pastor Sándor Senczy, head of the Charity Service in Washington, D.C. Speaking to Hungarian wire service MTI, Pastor Senczy added that, in what he claimed was an “unprecedented” development, he was allowed to preach in North Korea’s only protestant church, in Pyongyang. During his visit, a senior officer of the North Korean Ministry of Foreign Affairs asked the Charity Service to build a Baptist house of prayer in the capital. Beside the plans for the Baptist house of prayer, an Orthodox church is already under construction with Russian support. During their visit in North Korea, Senczy and his associates participated in several official meetings as well, and discussed a possible cooperation which aims to rehabilitate disabled children in the country by introducing the Hungarian method of conductive pedagogy. North Korean dictator Kim Jong Un only acknowledged five years ago that there are any disabled children in North Korea. Local teaching staff would be trained by Hungarian experts. The country remains one of the most isolated and authoritarian in the world; citizens have essentially no access to information from the outside world, and are taught to view Un, his father, and grandfather (who together have ruled the country since 1948), in almost divine terms. It should be noted that Senczy’s claims have, as of this writing, not been confirmed by North Korean authorities. Before the Soviet Union collapsed and Communism came to an end in Eastern Europe, Hungary and North Korea had good relations, as the trade between the two countries had flourished throughout the communist era. Hungarian-made trolley buses are still in use in the North Korean capital.